Whew! I have covered some major reads this year, in size and in substance. 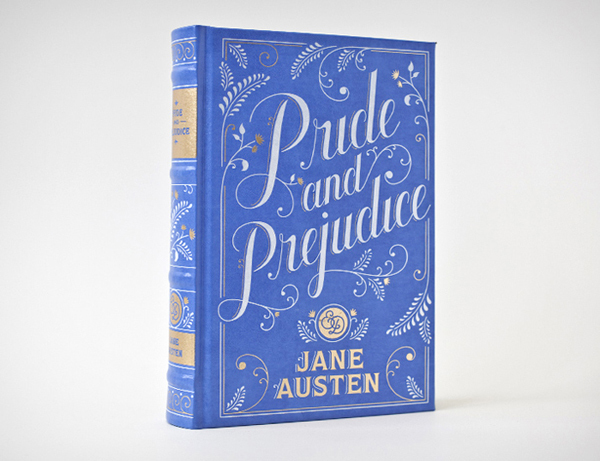 Among these were A Tale of Two Cities, Ulysses, Our Mutual Friend and most recently Pride and Prejudice. I feel like a Reading Rock Star. And… I think I’m good on the classics for a while. Pride and Prejudice was a challenge tri-fecta for me. # 1.) It’s on my original TBR Pile list for 2014. #2.) I read it as part of the Austen in August challenge hosted by Lost Generation Reader and #3) I read it as part of an online read along hosted by The Book Musings and Wensend. Finishing this one gives me a win, win, win. I liked the book. I found it very readable and most of the time it held my attention. There were some parts that were slow. Some conversations could have been shorter but over all, I really enjoyed getting to know the characters and watching the way it all played out. Some of the story was a surprise to me. I had never read it before or seen the movie but I knew enough about it to know that there was a great romance involving Elizabeth Bennet and Mr. Darcy. I never knew he was such a pud. At least initially. He was quite the ornery snob. I loved when it became clear to me why the title is what it is. He was SO PRIDEFUL and she was SO PREJUDICED. Another thing I loved about the book is all the wonderful correspondence. These people had the art of writing letters down to perfection. I so wish that were still a reality these days. We have some very dear friends that are from Uganda, and they hand-write long meaningful letters like you see in Pride and Prejudice, and they are just a treasure to behold. My children have them hanging on their bedroom walls. I try to keep up the practice of hand writing Thank You notes but I don’t remember the last time I wrote a long letter. Overall, I enjoyed this one. But I have to say that I liked Northanger Abbey just a little bit more. Maybe that’s because it was my first Austen, or maybe it’s because I can relate to Catherine more than I can Elizabeth, even though I liked Elizabeth a lot. The way that Henry Tilney was preparing that little home for him and Catherine in secret just won my heart. Mr. Darcy’s tremendous gift of help for the Bennets made me love him too but that whole situation was just too far from my reality. 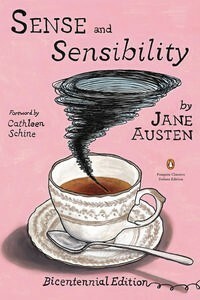 Next Austen in August, I think it’s gonna be Sense and Sensibility. Mostly because I love this cover. Nice! Did you watch any of the movies? I like the BBC version, but it’s 6 hours long! I’ve never seen any of the movies but I always hear that the BBC one is the preferred one. I’ll definitely watch it now that I’ve read it.